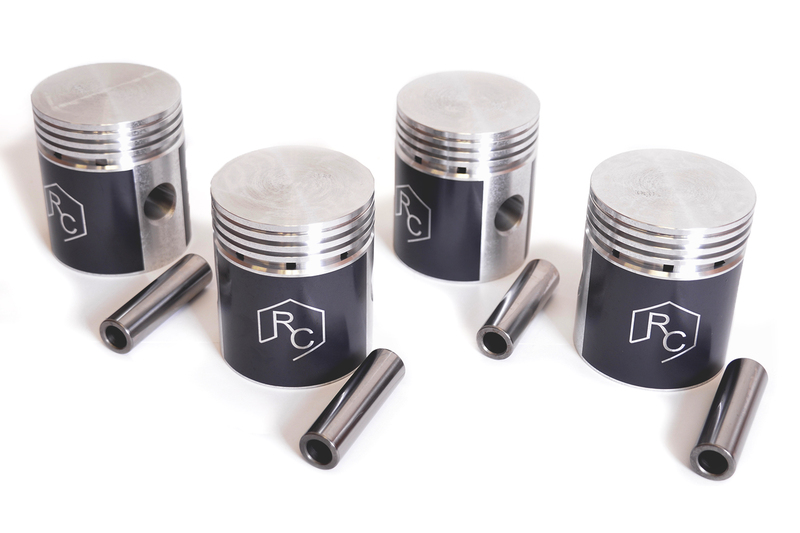 New Production pistons are now available from Rebuilders Choice for the 1941-72 Willys /Henry J 134 L and F head 4 cylinders. The 134 cubic inch 4 cylinders found in Willys Jeeps and Henry J‘s have a relatively long stroke for the size of the engine. The longer the stroke, the more chance of scuffing the pistons . To reduce this from happening we have coated our new production pistons with an anti-scuffing coating. Unlike other manufacturers, we have kept some of the original designs such as the carbon dam at the top of the pistons to reduce the chance of carbon build up between the rings and ring lands. Our pistons are diamond turned and precision machined for tighter clearance and optimal performance and are available in standard and .020s” through .060s”. Think Rebuilders Choice on your next Willys Jeep engine rebuild.